Commonly known as 380 / 1157 / Bay15d fitting. Bayonet bulb type: 380. Beam pattern: 360°. Colour: Red. T20 LED bulbs. Qty Included: 2 bulbs. All our bulbs are sourced from quality suppliers. Technology: LED. 3 series only : E46 E90 E92 F30 F35 F80 F31. This is a flexible insert like card that just slides in. It is not paper quality or a sticker. I have fitted this to my BMW E90 with no problems and in minutes with no tools. Commonly known as 380 / 1157 / Bay15d fitting. Bayonet bulb type: 380. Beam pattern: 360°. T20 LED bulbs. Qty Included: 2 bulbs. All our bulbs are sourced from quality suppliers. Technology: LED. Colour: White. This light would look great on Chopper bobber's Cafe Racers and many other custom builds, also very popular with Harley and other makes of bobber. Both a tail light an a stop light. WHEEL & BRAKE. LIGHTING & BRACKETS. OSRAM P21W LEDriving STANDARD. OSRAM quality. 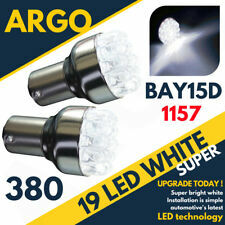 Modern and intense light with up to 6,000 K. Simple installation. Multiple light colors for a variety of customization options. Three different light colors for various applications. 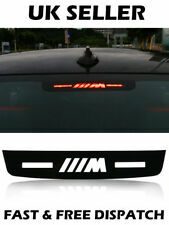 XtremeAuto© 12 LED Brake Light Strip for rear of car. Boot Lid, Spoiler, Window. SAFETY: Extra bright 3rd brake light improves your visibility to other vehicles in all conditions including sun, rain, and darkness. They are powerful, precise and look good, so you can signal in safety and with style. 12 V, red intense. Advanced automotive system. Worldwide Service 12 Months Warranty. Product authentication. Signum (03-08). Zafira B (05-12). Vectra C (02-08). Genuine Vauxhall. Brake Light Switch. All Models. Adam (13->). OSRAM W16W LEDriving Premium Red. Compatible with conventional W16W lamp base. Excellent brightness. Exterior lighting. Available with light color: Cool White, Red (for usage behind red glass). Available in Cool White and Red for a variety of customization options. LED-RED [~ P21W]. Brighter signaling is more secure Signaling of the intended maneuvers of the vehicle is of paramount importance for safety. Clear signal lighting ensures better visibility and therefore greater security. Original Refarance Number : 6Q0 945 511. LUPO / 1999-2005. GOLF MK5 /2003-2009. CADDY MK3 /2004-2010. JETTA MK3 /2005-2011. TOLEDO MK3 /2004-2009. BRAKE LIGHT STOP SWITCH SENSOR. GOLF PLUS /2005-2010. 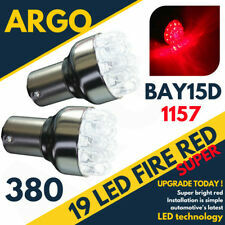 LED-RED [~ P21 / 5W]. Brighter signaling is more secure Signaling of the intended maneuvers of the vehicle is of paramount importance for safety. Clear signal lighting ensures better visibility and therefore greater security. Brake Pedal. - Carburetor Covers, Engine. - Bullet, Marker Lights. - Horns & Horn Covers. Can be used as a combined stop (brake) and tail light. - Motorcycle Parts Catalogues. - Clean, Protect, Polish. OSRAM W21W LEDriving Standard Red. Compatible with conventional W21W lamp base. High brightness. Available with light color: Cool White, Amber, Red (for usage behind red glass). Exterior lighting. Available in Cool White, Amber and Red. OSRAM P21W LEDriving Standard Red. Compatible with conventional P21W lamp base. Available with light color: Cool White, Amber, Red (for usage behind red glass). Exterior lighting. Available in Cool White, Amber and Red. OSRAM P21W LEDriving STANDARD AMBER. OSRAM quality. Modern and intense light with up to 6,000 K. Simple installation. Multiple light colors for a variety of customization options. Three different light colors for various applications. OSRAM W21W LEDriving Standard Red. Compatible with conventional W21W lamp base. Available with light color: Cool White, Amber, Red (for usage behind red glass). Available in Cool White, Amber and Red. The light tire fits Wrangler JK models. Rear Spare Tire Light. LED Spare Wheel Light with mfg LEDs. Lights up the inside of your spare when brakes are applied. Looks great and adds a little safety. Brake Pedal. - Bullet, Marker Lights. - Horns & Horn Covers. - Buff, Neck Tunnels. - Face Masks & Hats. - Fuel Tank Sealants/Protector. - Motorcycle Parts Catalogues. - Rear Taillights. Ref.Number : 1887094 /150283012 / 2654000Q0C. 4419392 / 93197475 / 265900021R. RENAULT MASTER MK3. REAR RED CENTRAL BRAKE LIGHT. VAUXHALL MOVANO. Our PartNumber : 3914. Both a tail light an a stop light. LIGHTING & BRACKETS. WHEEL & BRAKE. This light would look great on Chopper bobber's Cafe Racers and many other custom builds, also very popular with Harley and other makes of bobber. Rear high level brake light 280mm. The experts in Automotive Lighting. Operation of the light with alternating current or pulsed direct current is not permitted! The individual light functions may only be operated with a vehicle fuse of max. Usage: spare tire wheel brake light. 1X Spare Tire Led Brake Light. 12 1/2" LED Spare Wheel Light with mfg LEDs. Lights up the inside of your spare when brakes are applied. Looks great and adds a little safety. Details : TOYOTA AYGO VVT-I X High Level Stoplight Mk2AYGO 2015. Vehicle Details : 2015 TOYOTA AYGO VVT-I XAYGO 2015. TOYOTA AYGO VVT-I X High Level Stoplight Mk2 14 15 16 17 18 19. AYGO 2014 -2019 Mk2. Details : CITROEN BERLINGO 850 ENTERPRISE L1 HDI High Level Stoplight Mk2BERLINGO 2014. 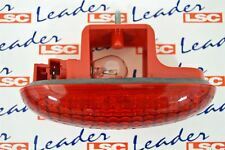 CITROEN BERLINGO 850 ENTERPRISE L1 HDI High Level Stoplight Mk2 08 09 10 11 12 13 14 15. Vehicle Details : 2014 CITROEN BERLINGO 850 ENTERPRISE L1 HDIBERLINGO 2014. 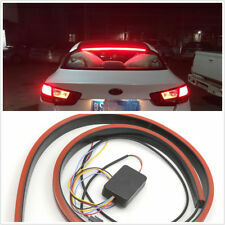 Red LED brake light for horizontal fastening with seal. The experts in Automotive Lighting. Rear Lights. The individual light functions may only be operated with a vehicle fuse of max. - Rear with pipe. Range Rover Sport L320 2010-13 Facelift. This LED brake light ready to be fitted and will be suitable for the Original style rear spoiler or the Autobiography rear spoiler. This is a high quality product however this is not a genuine LR product. LCD Digital Tyre Tread Depth Gauge Motorbike Car Shoe Tester Electronic 0-25.4mm. Features: It can be both driving light and brake light. Easy installation, plug and play, quick disconnection. 2013 TOYOTA AYGO. AYGO 2005 -2014 Mk 1. High Level Stoplight. Our site is spread over 5 acres consisting of a reception area, two large storage buildings, de-pollutions bay, vehicle racking facility, in house crushing/bailing zone. Part Type : High Level Stoplight. Vehicle Colour Make : NISSAN. Year : 2002. Item Details. Details : FORD FIESTA ST-2 High Level Stoplight Mk7FIESTA 2014. Part Type : High Level Stoplight. Model : FIESTA. Year : 2014. FIESTA 2008 -2018 Mk7. Vehicle Colour : UNK. Make : FORD. Fits also. The light tire fits Wrangler JK models. Flood light. Jeep Wrangler Light. LED Headlight. Rear Spare Tire Light. LED Spare Wheel Light with mfg LEDs. Lights up the inside of your spare when brakes are applied. Suitable for all MINI clubman R55 models. Suitable forall MINI clubman R55 models. 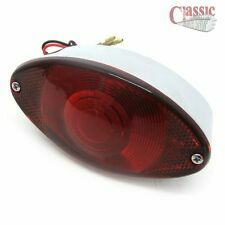 New genuine MINI clubman rear high level third brake light. They fit, and stay fitted, genuine parts are tested to work perfectly over many years. Worldwide Service 12 Months Warranty. Product authentication. This item has been used but is in excellent condition and works perfectly. 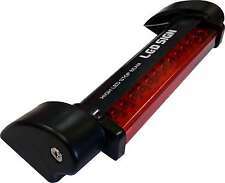 It is a LED rear light assembly and for the nearside only. Carburetor Covers, Engine. - Bullet, Marker Lights. - Horns & Horn Covers. - Brake Pedal. Can be used as a combined stop (brake) and tail light. - Fuel Tank Sealants/Protector. - Clean, Protect, Polish. 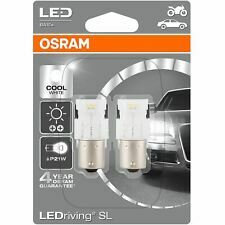 OSRAM P21/5W LEDriving Premium Cool White. Not ECE conform. Available with light color: Cool White, Amber, Red (for usage behind red glass). Disponible en Cool White, Amber and Red. Three different light colors for various applications. Tailgate Additonal / High Level Brake Light. Genuine Vauxhall. High Roof Models Only. Vivaro B (15->). All Models with Tailgates. For Peugeot. Engine Hood Damper. Peugeot 206 LED Smoked Rear 3rd Brake Light 14 LED's. Carbon Oil catch tank. Suitable for Peugeot 206 all models. Auto Shift Lamp. PEUGEOT 207. Peugeot 307. OSRAM P21W LEDriving Premium Red. Compatible with conventional P21W lamp base. Available with light color: Cool White, Amber, Red (for usage behind red glass). Available in Cool White, Amber and Red for a variety of customization options. Details : NISSAN X TRAIL DCI AVENTURA High Level Stoplight HIGH LEVEL STOPLIGHTX TRAIL 2006. Part Type : High Level Stoplight. X TRAIL 2001 -2007 HIGH LEVEL STOPLIGHT. Model : X TRAIL. Vehicle Colour . OSRAM P21W LEDriving Standard Red. Compatible with conventional P21W lamp base. Exterior lighting. Available with light color: Cool White, Amber, Red (for usage behind red glass). Available in Cool White, Amber and Red. OSRAM P21W LEDriving Premium Red. Compatible with conventional P21W lamp base. Exterior lighting. Available with light color: Cool White, Amber, Red (for usage behind red glass). Available in Cool White, Amber and Red for a variety of customization options. OSRAM W21W LEDriving Premium Red. Compatible with conventional W21W lamp base. Available with light color: Cool White, Amber, Red (for usage behind red glass). Exterior lighting. Available in Cool White, Amber and Red for a variety of customization options. 2008 to 2016. HIGH LEVEL BRAKE LIGHT CARBON FIBRE DECAL UPGRADE. FORD FIESTA. Simply peel and apply to a pre-cleaned surface. TO LEAVE A FAVOURABLE REVIEW AS A GUIDE FOR OTHERS.